So… sometimes I come up with topics and then realize they’re hard. lol. That happened this week, hence the 5 picks instead of my usual 10! This week’s topic is about the upcoming releases that I’m not sure if I actually want to read or not. I’ve received them for review and I’m just not sure if they’re my kind of book or not. Am I wrong? Do they sound good? Have you heard good things about them? Has anyone read an early copy and can tell me if they’re good? I need help deciding on them! 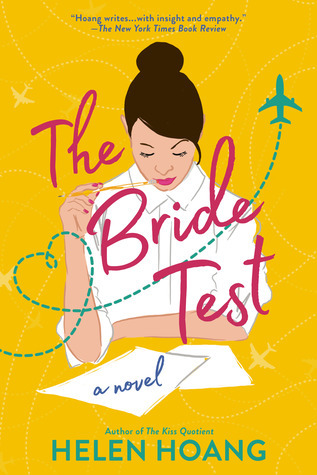 The Bride Test by Helen Hoang – I did not like The Kiss Quotient. Like, not at all. This one sounds like it could be good, but I worry that I’m going to feel like I did with Hoang’s other book. Fix Her Up by Tessa Bailey – From what I can tell, this author writes mostly erotica (which I don’t read). Have a been fooled by the cutesey cover? It sounds like so much fun, but erotica is not my thing at all. 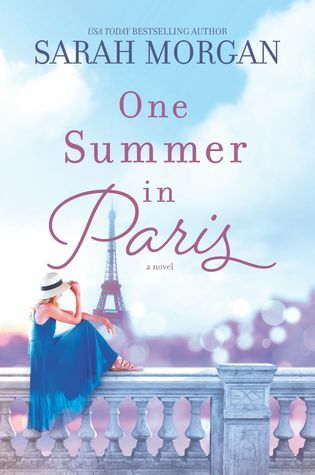 One Summer In Paris by Sarah Morgan – I love Sarah Morgan, but really do not like women’s fiction at ALL. I need my romance and my swoons. I don’t enjoy family/personal drama with no romance. This one’s hard. 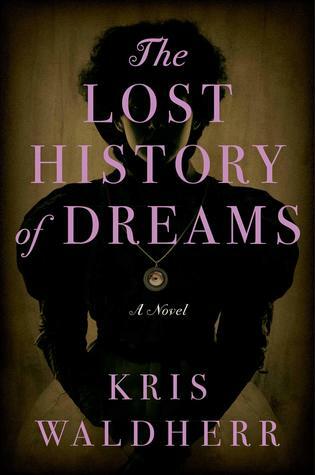 The Lost History of Dreams by Kris Waldherr – I love Gothic fiction, and this one sounds amazing. I’m worried, though, that it’ll be too creepy for me! There’s a fine line between eerie and so-scary-I-might-die for me. What books are on your radar, but you’re just not sure you’re interested in them yet? What books are getting a lot of pre-pub hype, but you’re still iffy about? Can you help me make a decision on any of my picks? I am on the fence about The Bride Test too. I’m with you on the fine line between creepy and scare me to death. Seeing a lot of buzz over that first one! All totally new to me ones that are outside my genre, so I won’t be reading them. If you chose to read any of these I hope you enjoy them! I’ve heard reviews that The Bride Test is The Kiss Quotient but MORE, with a spin. Haven’t read it, not my genre so much, but I’d wait for comparisons to TKQ at least, go with your gut. The Lost History of Dreams jumped out at me, I need a gothic novel for my 2019 Bookish Jay and Reading Mermaid Challenge, might check it out. I’ve never read any of Helen Hoang’s stories, but I am curious about The Bride Test. It’s hard to know what to recommend since you didn’t like The Kiss Quotient, though. Great list! I liked The Kiss Quotient, but I must admit I’m not all that interested in Helen Hoang’s new book. Woman 99 sounds right up my street, though! Jess @ Jessticulates recently posted…Top Ten Tuesday | Should I read these books? 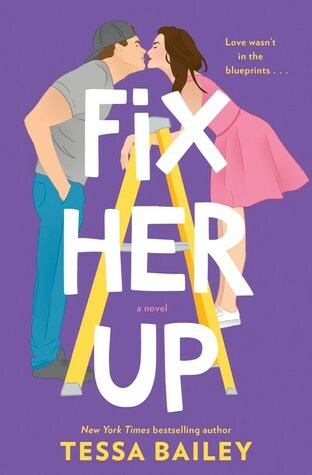 I’m kind of a sucker for romances with family drama so I’m hoping Sarah Morgan’s new one has at least some romance in it. And I really liked her last book, The Christmas Sisters, which did focus more on family relationships than romances but I still liked it so I am excited for this one. And yes, this list was harder than I thought it would be! I’ve seen these books around and considered them, but felt I probably wouldn’t read them so I’m not much help to you. I used to really enjoy Sarah Morgan’s books when I was reading romance, but don’t read them now. Since this is women’s fiction which I do read sometimes I might go and take a look at it! And this was a hard topic for me, too! I’m with you on possibly too creepy or too upsetting. I read to enjoy, not to need therapy. It was a hard topic for some reason! 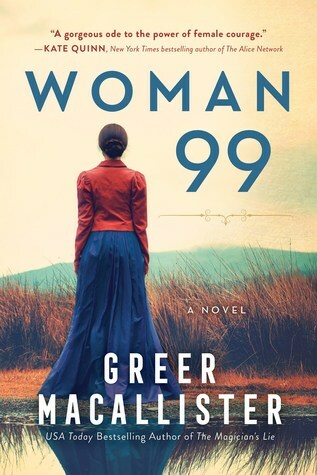 I’m looking forward to Woman 99. Happy Reading Jana! I can’t really help you, since I haven’t read any of these, and the only author I’ve read is Huang. (I DNF’d The Kiss Quotient.) I totally understand your apprehension about The Lost History of Dreams. My personal threshold for “too dark/scary/creepy for me” is pretty low, so there are often books that other people love that I just steer clear of. I put The Lost History of Dreams on my list, too! I had trouble coming up with 10 titles today, so it took me awhile to think about it. Thanks for hosting this. I wish I could review The Bride Test. I did not get an ARC. My guess is that it will be fairly similar to The Kiss Quotient. I adored TKQ, so I am excited about TBT, and you now have me worried about Fix Her Up. I am hoping for a rom-com there, but I guess I will have to wait and see. Greer Macallister is a MARVELOUS writer. I’ve read her other two books and I’ve got this one on my TBR list! Don’t pass it by!